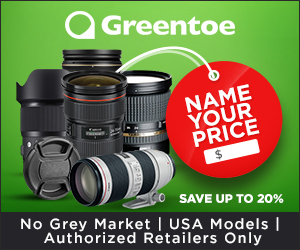 How Can I Be More ______ As A Photographer? You can fill that in with any adjective you’d like: Creative. Wealthy. Original. Successful. Innovative. * The number one question is always about gear. Always. And, as always, the gear matters 10% as much as you think it does. 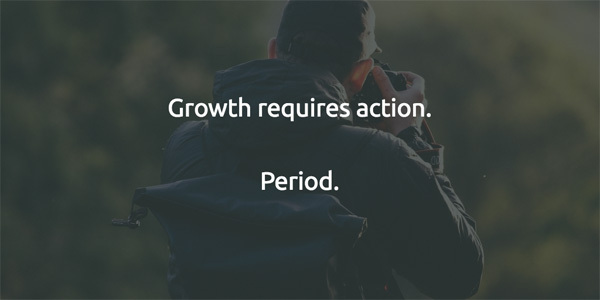 Whenever you want more out of your photography, or your photography business, the answer is to grow. The reason that we stop growing as photographers is often because we get ‘good enough’ praise for the work we do. People pay us. People we respect tell us it’s good. So our brain tells us to just keep doing what we’re doing, but eventually we start to stagnate. Often, we don’t see it for a while until someone (a friend we trust) or something (losing a client) lets us know. Or, maybe we just have an insane drive to get better that is always pushing us (if you’re nodding your head, we just became best friends). So we have to grow. And that means we have to DO. Don’t get me wrong, learning is fantastic. Read a few more blog posts, listen to a podcast, watch a few more youtube videos, or take an online class. But when you’re done, go do it. If you want to grow, you have to put in the work. 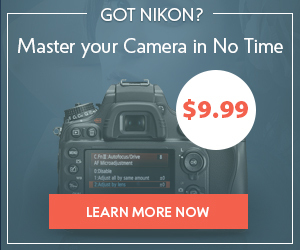 If you’re still reading, you want more from your photography. Since you want to be more creative and more successful this year, here are 9 ways to grow. 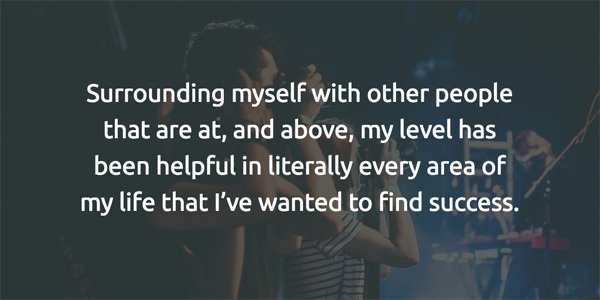 Surrounding myself with other people that are at, and above, my level has been helpful in literally every area of my life that I’ve wanted to find success: family, athletics, photography, business, faith, etc. Once deemed “self-help,” personal development is really just trying to be the best person you can be. One of the greatest lessons that I’ve learned in the past year is Amor Fati, choosing to love my fate. Obviously choosing to love what happens in my life no matter what has allowed me to focus on business and photography without getting derailed by minor (and even major) setbacks. One of the amazing things about the human brain is its ability to carry something over from one area in your life to another. When I am lacking discipline in one area of my life (diet), I can work on being disciplined in another area (finish my shower with 60 sec. of ice cold water) and it carries over. Discipline yourself by de-cluttering everything from your life: your physical desktop, your computer desktop, your iPhone’s home screen, turn off Facebook, etc. When we’re more disciplined in one area of our life, other parts of our life fall into place as well. Like a muscle, our brain learns from repetition so the more reps you give it making disciplined choices, the easier it gets. People always immediately object when I say this. Their mistake is that they fail to realize how many forms a mentor can take. Before you read on, know this: Everybody you look up to was once in the exact same place as you. They know the feeling of stagnant frustration and want to help, even if they don’t have the time. The #1 tip that I have for getting a mentor is calling them. Yes, on the phone. The cost of that? 10 seconds looking up a number and possibly coming off as a passionate photographer who is eager to learn. Can’t find their phone number? Between Snapchat, Instagram, and email, you literally have nothing to lose. I had a business question and reached out to Chase Jarvis on Snapchat. Less than 24 hours later, I got a personal video response. It’s that easy. The #2 tip is to just be sincere and ask them a question. Don’t ask them to be your “mentor.” That’s too much of a commitment. I have another business mentor I reached out to after I read an article he wrote. He wrote me back and, in gratitude, I emailed him the 5 key take-aways I had and promised to email back when I’d achieved results. That’s all a mentor wants: to see you get results with their lessons and time. This type of project takes discipline, but as the name suggests, you simply do something every single day (here’s an article with more detail). Carry your camera with you all day for a year and see what happens. 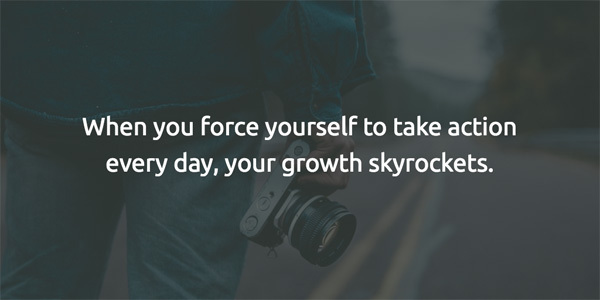 When you force yourself to take action every day, your growth skyrockets. Some of my favorite examples of these come from Tyler Babin and Casey Neistat. Babin is currently undertaking a 365 project on his Instagram and Neistat far surpassed it by editing one video every single day for well over a year on his (now) immensely popular youtube channel. A mastermind group is a regularly meeting group of contemporaries who join together to push each other forward; no ego, no agenda. 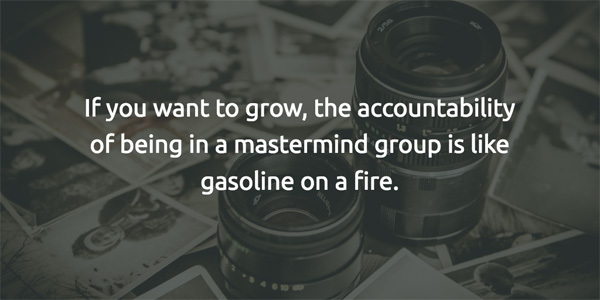 If you want to grow, the accountability of being in a mastermind group is like gasoline on a fire. I started my first business in 2011 and didn’t join a mastermind group until a few years later. We started by meeting every week with one of us in the “hot seat” bringing out questions and problems to the group for them to help solve. It worked wonders. I also loved that 3 weeks out of the month I was solely driven by helping other people with their work. As a photographer, a group that meets regularly to talk about techniques, habits, and the thought process behind the photos in order to push one another would be invaluable. It could even be a podcast, like Ask the Photographers, hosted by Steven Dray and Michael Williams, two Pittsburgh photographers that work together to improve each other’s’ businesses. At this point, there’s no reason to re-hash all of the the basic “goal-setting” advice (SMART goals, etc.) However, there is a strong reason to push against some of the traditional advice. 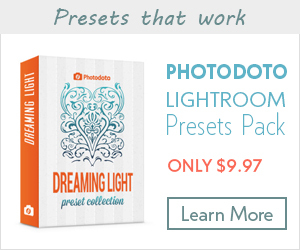 One of the biggest mistakes I see photographers make when setting goals is sharing them. Yes, I know you’re ‘supposed’ to share them with others so they hold you accountable. Yet, that’s a huge mistake. Studies have shown you’re less likely to accomplish your goals if you share them indiscriminately, in part because you get some satisfaction out of saying you’re going to do it and because you’ve experienced that small satisfaction, you’re less likely to go through with the act. Vincent Van Den Berg, a wedding photographer in Mexico, explains that you’re MORE likely to achieve your goals if you share them with somebody who is supportive and will actually hold you accountable to them. Choose wisely. Last, establish a “push” goal. Like the first domino in a line, this is the goal that will accelerate all of your other goals. Which one of your goals will be the catalyst to help you accomplish your entire list. In 2016, my push goal was selling one of my other businesses so that I could focus on something new. What’s yours? I’ve never felt more inspired in my photography or work as I have when I’ve been on the road. Traveling is one of the hidden keys for growth in all areas of your life and photography is not different. On a surface level, it’s great to photograph new things, people, and locations. But the real key is that when you’re traveling, you’re constantly testing your comfort zone and being pushed. One of the chief benefits of travel is the disruption of routine. 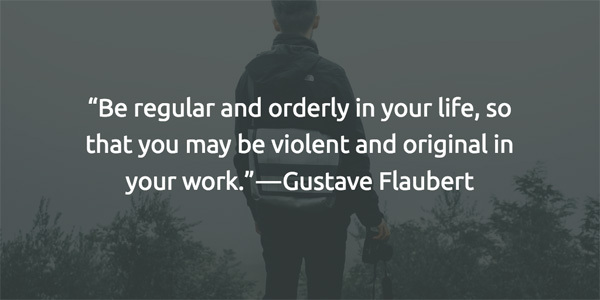 Routine is often the number one reason that we feel stagnant and want to grow. We shoot the same way, edit the same way, in the same places, of the same things. Shane Cleminson, one of my oldest photographer friends, is from Zimbabwe and says simply going somewhere new is enough to disrupt our sleep patterns and routines to force us out of them. We have no choice but to grow and adapt. When I’ve traveled, I’ve had to question my past assumptions about the “correct” way to set up shots, take photos, edit, etc. Mostly this came from the actual experience of working in a new place, but also learning from new people around me. Take time and talk to other photographers when you’re traveling and see what you can learn from them. Chances are, you’ll glean a few insights from them that you’d never find online. Some people look to grow by adding things: more locations, more gear, more subjects, etc. I’ve always been the opposite. I force myself to get the most out of the work that I’m doing by doing with less, always finding new opportunities that I wasn’t even aware existed before. And I’ve learned some incredible stuff from doing this. For example, when I limited myself to shooting only during one time of the day, I learned to look for nuances in the light during that time of the day. I learned that approaching different subjects differently based on the time of the day had a huge impact on the quality of images that I produced. If you aren’t willing to take action on at least two of the things from the list above, reading more articles isn’t going to help. And if you’re not ready to put any of these into action, no worries. Just remember, your actions (not what you say) reflect your values. 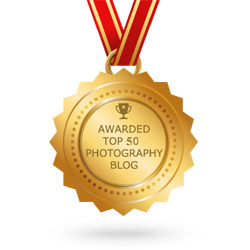 Maybe being a better photographer isn’t all that important to you? So here’s what I want you to do. Share your photography goals with me in the comments below. 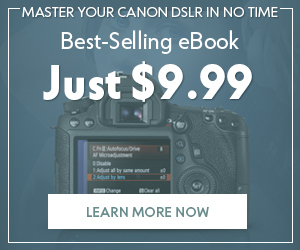 Above, I said don’t share indiscriminately, but I’d love to follow up with you down the road and help hold you accountable for being the best photographer you can be! 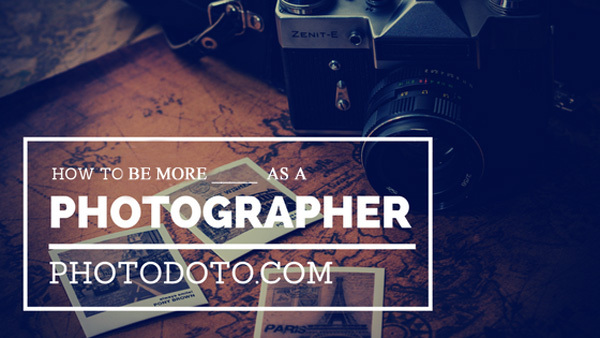 For more on growing as a photographer, read this article. 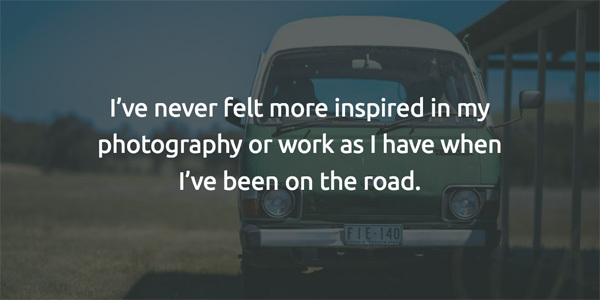 Brendan Hufford is a marketing and business veteran who is absolutely in love with photography. In 2016, he founded Photo MBA, where he teachers photographers how to charge more, land better clients, eliminate business headaches, and bridge the gap between their current reality and photography business goals.